Families do not come with instruction manuals, and we all need help from time to time. Communication and understanding can often turn trouble into joy. Substance abuse sneaks up on many of us and can be very difficult to get under control. But it can be done and is done by thousands every day. Let us help. 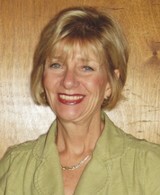 Dr. Anne Croskey is in solo private practice as a Licensed Clinical Psychologist and Chemical Dependency Counselor. Over her more than twenty year career as a counselor, she has helped hundreds of clients understand their problems and get on the road to a fulfilling life. Therapy is sometimes difficult, but always very personal. The doctor will see you, and only the doctor will see you. Anne is a private practitioner, but with a very wide and diverse background. She has worked in clinical settings, group practices, and many other venues. That background gives her the education and experience that she will use to help you with your problems.